Nightmares head North for Bout #2! This entry was posted on June 27, 2012 by nnderby. It was filed under EVENTS! 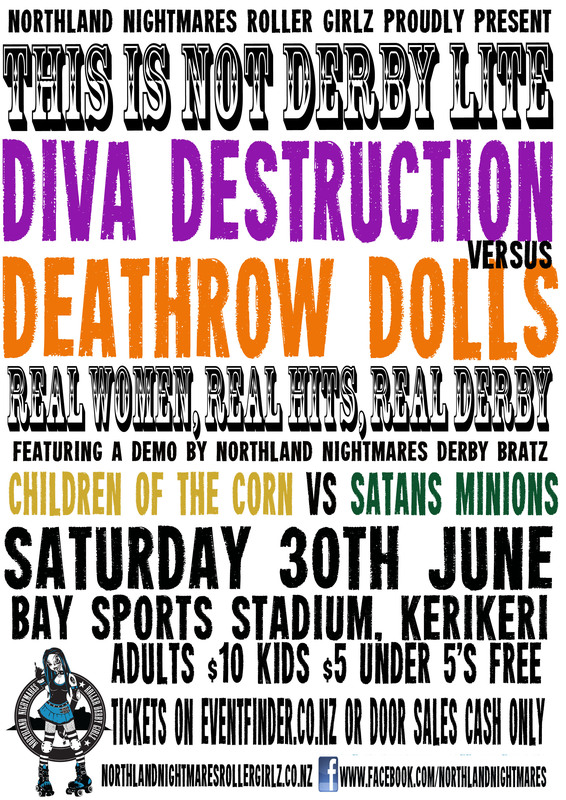 and was tagged with bay park stadium, deathrow dolls, diva destruction, Northland Nightmares, Northland Nightmares Derby Bratz, Northland Nightmares Roller Girls, Northland Nightmares Roller Girlz, Northland Roller Derby, Roller Derby, rollerderby.